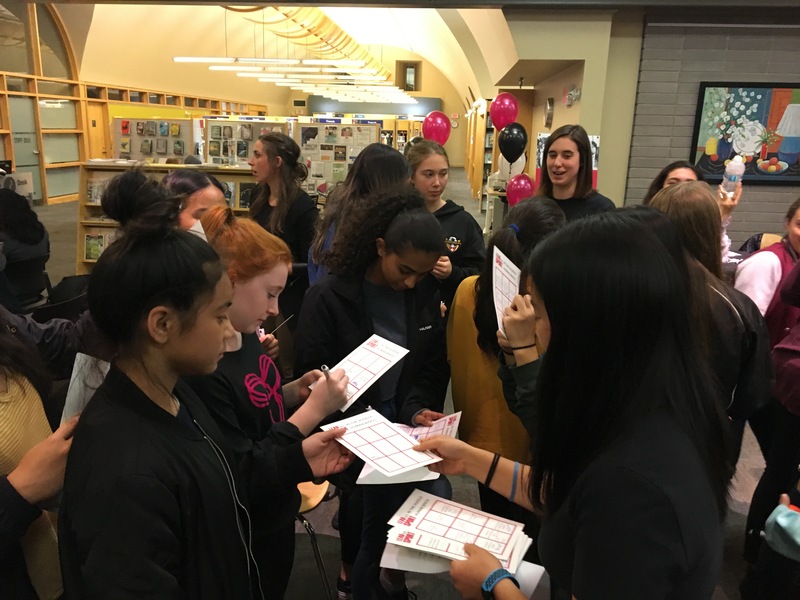 This is a FREE opportunity offered to female student-athletes in high school to learn from stories told by accomplished women in their various fields. Our dynamic speakers are leaders and key contributors within their community. 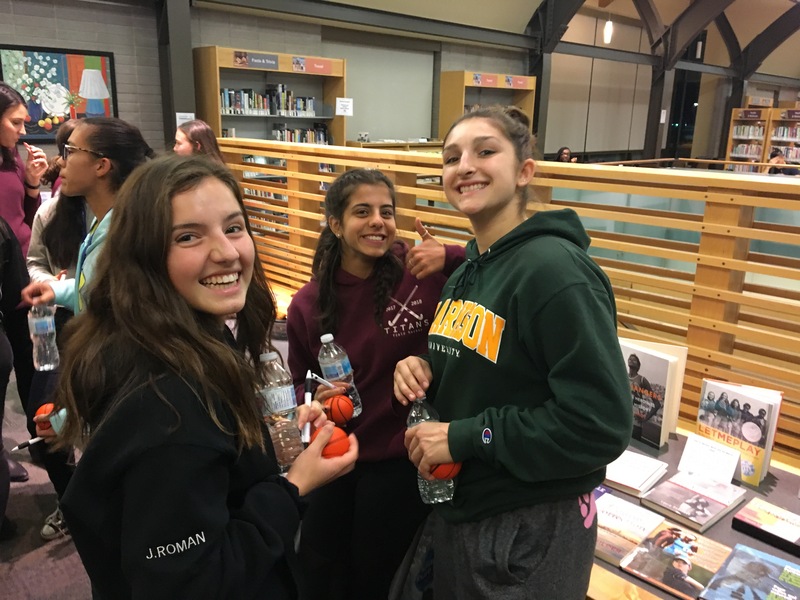 Thank you to Markham Public Library for being the host venue! We had the most AMAZING co-host part of our WORK Thru Sport program, Michaela. Congratulations on doing a fantastic job and making the night special. Thank you to all the volunteers, athletes and community members that came out and participated! 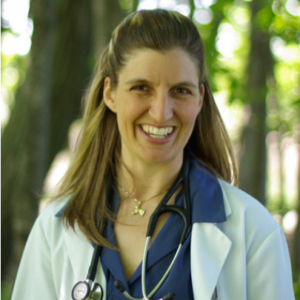 Frances Turk is a Naturopathic Doctor working in two clinics that she owns and operates. She has an immense passion for working with people to achieve their best and healthiest self. 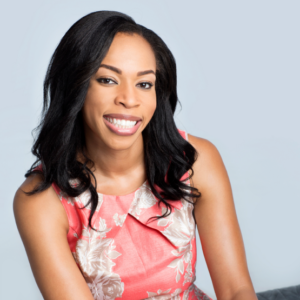 Along with the naturopathic realm, she is also a Disk Jockey and race announcer who travels all over the country working on different events from corporate events to weddings and birthdays. Above all the work that she does with her 3 companies, she also finds time to support her community working and speaking at different events, and bringing her team of practitioners out to help at times as well. Her life would not be complete, of course, without her love of sports (all kinds!) and her dog Ivy. Jennifer is proud to be a champion for LGBTQ inclusion in sport. 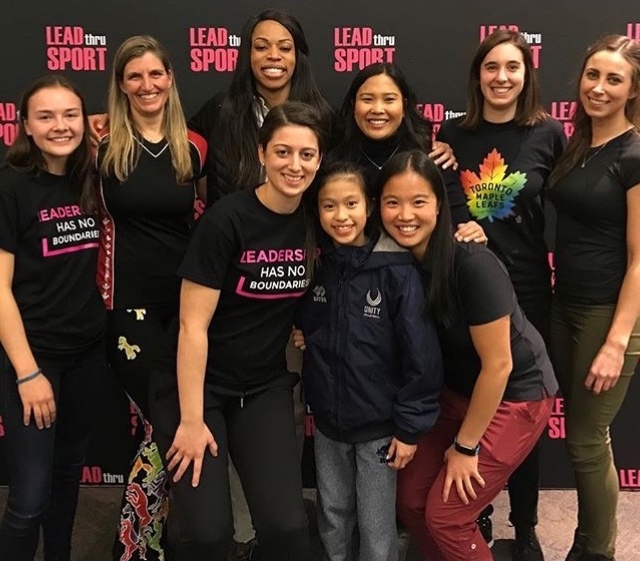 As a retired varsity athlete and young professional working in Toronto’s sports industry, she is also a dedicated volunteer with the non-profit organization You Can Play. You Can Play works to ensure the safety and inclusion of all in sports – including LGBTQ athletes, coaches, and fans. Jennifer believes in the power that sport has to bring people together and recognizes the strength that a diverse and inclusive team holds. 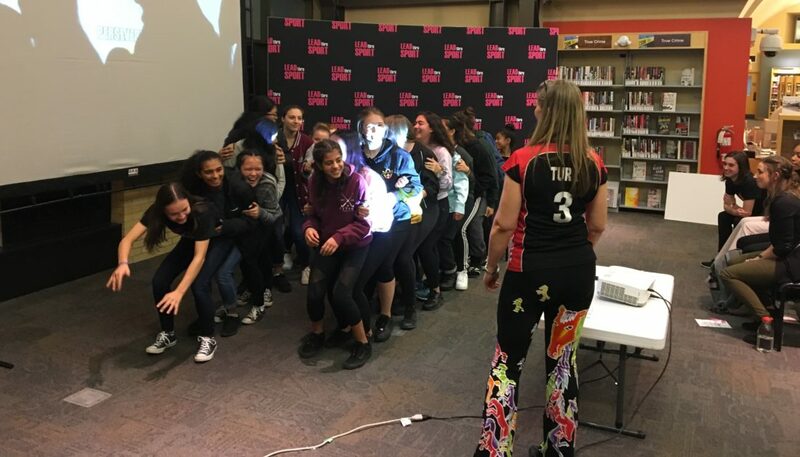 Through her work with You Can Play, she seeks to challenge the culture of locker rooms and spectator areas by focusing only on an athlete’s skills, work ethic, and competitive spirit. While completing her Bachelor of Commerce at Queen’s University, Jennifer competed for the varsity triathlon team, ranking as the top female varsity triathlete in Ontario and awarded team MVP in 2013. 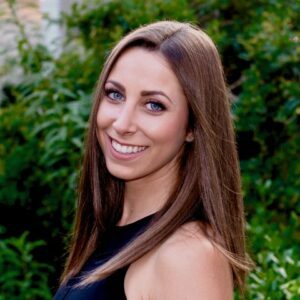 Working in downtown Toronto, Jennifer is Manager of Business Strategy for Maple Leaf Sports & Entertainment (MLSE), the owners of many of Toronto’s favourite sports teams, including the Maple Leafs, Raptors, Toronto FC, and Argonauts. Nella Brodett is a former varsity student-athlete and national champion. 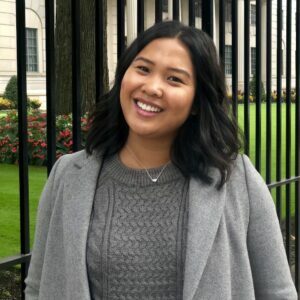 Originally from Edmonton, Alberta, Nella received multiple scholarships to different universities including Lindenwood University, St Louis, MO; Grant MacEwan University, Edmonton, AB; and Ryerson University, Toronto, ON. She served as Captain of the Ryerson Rams from 2012 – 2014 where she completed her Bachelor of Commerce majoring in Law. 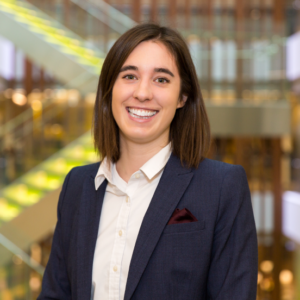 Nella currently works in the innovation and entrepreneurship space where she looks to improve Canada’s health care system using new technologies. She now focuses her athletic energies into rock climbing, snowboarding and tennis. Aderonke Daramola completed her first undergraduate degree in Exercise & Sport Sciences (B.Sc.) at Quincy University in Illinois. While acquiring this degree, she competed at the elite level in Basketball, Volleyball and Track and Field. While competing at the elite level, her body’s energy demands had increased. Oblivious to the body’s need for more nutrients, she continued to eat as usual. Each nutrient deficiency affected her performance on the court and field. Upon graduating in December 2007, Aderonke was employed as a personal trainer and fitness instructor. Her extensive knowledge in sports and fitness has led her to conduct health seminars at different organizations. Subsequently, she continued her studies and graduated with a Bachelor of Science in Nursing (BScN) from Trent University. Upon graduation, she was employed as a nursing supervisor at The Woodhaven Long Term Care Residence in Markham Ontario. Three months later, she was employed at the North York General Hospital as a resource nurse where she delivered treatment with an emphasis on assessment, education, prevention, maintenance, and restoration of health. The area of nursing she has worked include: Mental health, pediatrics, oncology, orthopedics, neurology/stroke, acute care unit (medicine), cardiology/telemetry, gastrointestinal/respiratory, general surgery and the rehabilitation unit. She is currently employed as a care coordinator at the Central Community Care Access Centre. Tesca Andrew-Wasylik graduated from the University of Toronto MScPT program. Prior to this, she completed an Honours Bachelor of Kinesiology and Physical Education at Wilfrid Laurier University and a Bachelor of Science at the University of Winnipeg specializing in Athletic Therapy and Exercise Science. Tesca was a competitive gymnast, soccer player, and track athlete before she switched to volleyball and went on to play at Wilfrid Laurier University, University of Winnipeg, and then with Team Canada for 5 years and professionally in Romania. Since finishing her National Team career she keeps active with parkour, tennis, cycling, running and of course volleyball. Her new goal is to complete a half ironman next year and qualify for the Boston marathon. She is now a registered Physical Therapist and certified personal trainer with training in pelvic health, vestibular rehab, acupuncture/dry needling, and concussion management working in Toronto.